China is the largest steel producing country in the world. Paired with its abundance of capital and available labor, the country has taken on numerous building projects over the years to build up its economy and facilitate trade with other regions. However, these building projects are on another level of huge, and with all the megacities popping up throughout the country, China boasts many of the biggest infrastructure projects in the world. Here’s the Steel Wire’s look at some of the most impressive to date. China is home to the largest dam in the world, measuring 1.5 miles in length and sitting 60 (!) stories tall. 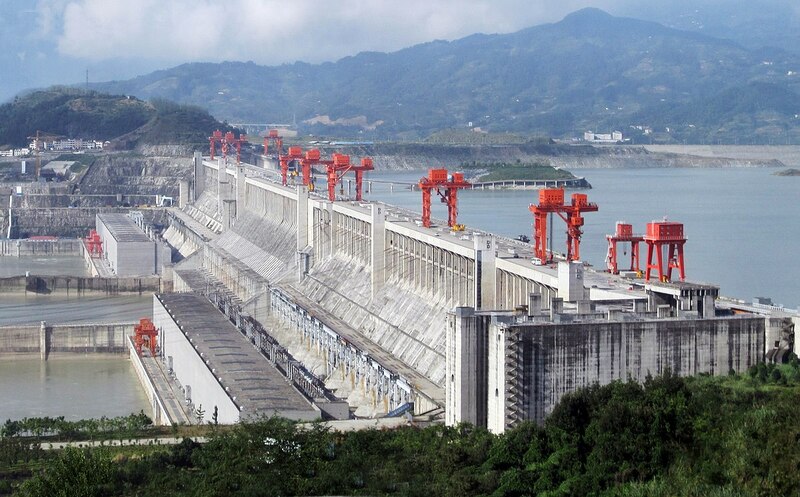 The Three Gorges Dam took 1.92 million tons of rolled steel to complete, along with 10.82 million tons of cement and 1.6 million cubic meters of timber. The dam opened in 2003 on the Yangtze River and last year, generated a record-high 97.8 billion kilowatt-hours of electricity, 4.35 percent higher than the previous year. 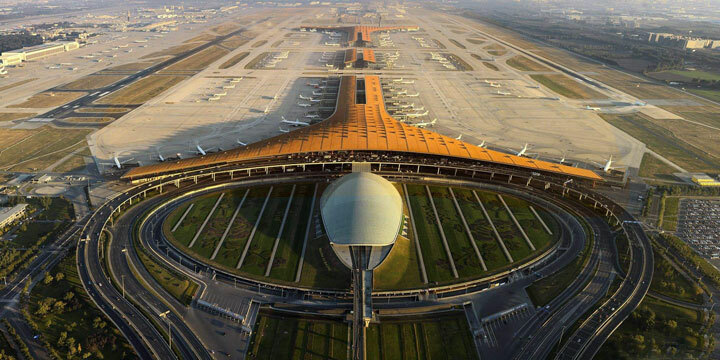 Beijing Capital International Airport (PEK) was the second largest and busiest airport in the world in 2016, just behind the Hartsfield–Jackson Atlanta International Airport in the U.S. PEK recorded 94,393,454 passengers that flew in and out in 2016, a 5 percent increase from 2015, and is easily the biggest airport in all of Asia. The first phase of the airport cost USD 3.5 billion and was completed in 2008, but in order to handle the growing number of passengers, an expansion project is planned for 2025. The estimated 5-year project will almost double PEK’s capacity and cost an additional USD 13 billion. China is also home to the longest sea-crossing bridge in the world. The massive structure stretches over 26.4 miles and connects the cities of Qingdao and Huangdao. The 110ft width accommodates 6 traffic lanes that are supported by 5200 steel pillars. The bridge first opened in 2011 and took USD 2.3 billion and over 10,000 workers to build. 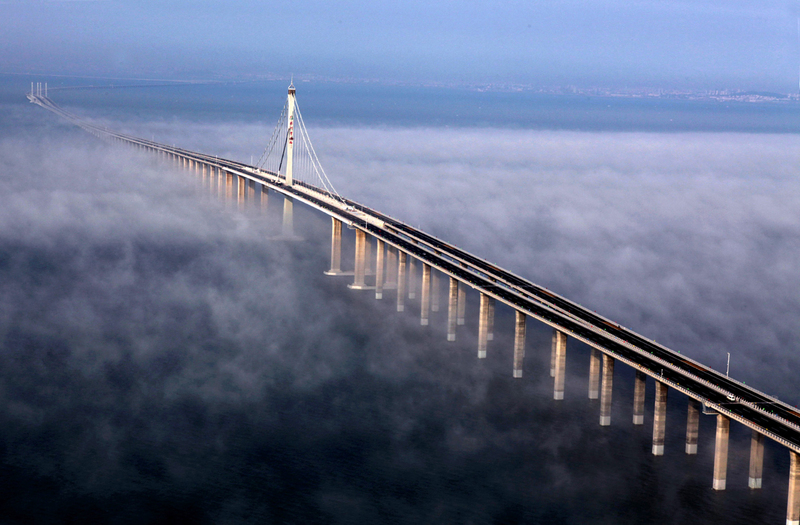 The Jiaozhou Bay Bridge also took 450,000 tons of steel to complete, allowing the bridge to be able to withstand earthquakes up to 8.0 in magnitude, typhoons and the force from a 300,000-ton object. Not surprisingly, the largest wind farm in the world located in China. 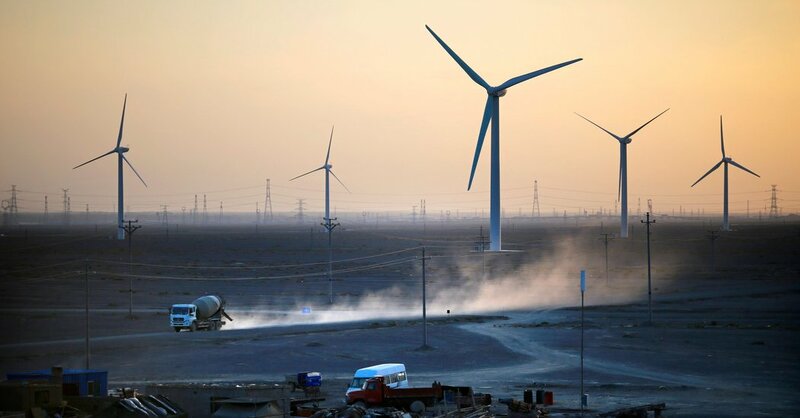 Jiuquan Wind Power Base is made up of 7,000 turbines that generate enough electricity to sustain a small country. The plant was approved in 2008, and the government has pledged an additional USD 17.4 billion by 2020 as part of the effort to develop China’s renewable energy industry. For now, only 3.3 percent of all the electricity generated in China comes from wind turbines. With the additional investment, Jiuquan Wind Power Base will be able to generate a massive 20 gigawatts of sustainable electricity. What does the biggest building in the world look like? A mini country. 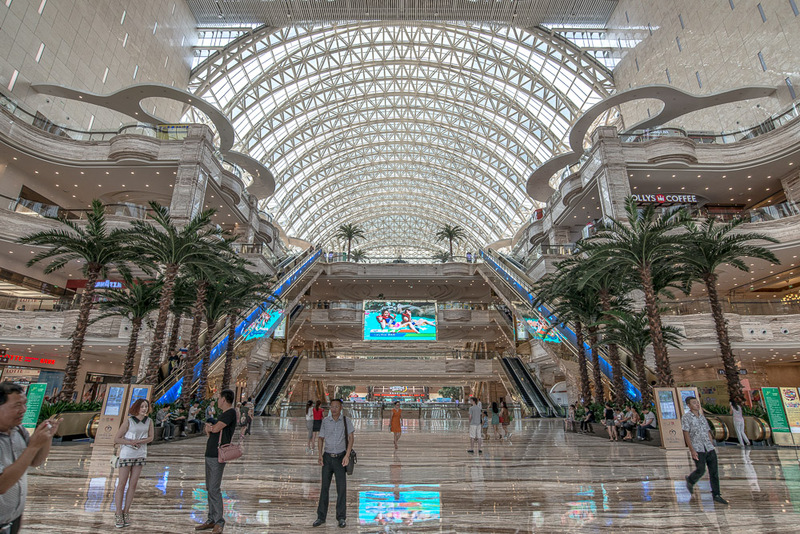 Located in Chengdu, Sichuan province, the New Century Global Center combines a shopping mall, water park, hotels, movie theaters, offices, restaurants, ice rink and more into 19 million sq.ft. of space. The structure is made of glass and steel and measures 500 meters long, 400 meters wide and 100 meters high. Designed by architect Zaha Hadid, it even has artificial sun for the perfect weather, 24 hours a day. The world’s biggest ports are mostly located in China, and the biggest one is the Port of Shanghai. In 2012, 744 million tonnes of cargo and 32.5 million twenty-foot equivalent units (TEUs) of steel containers passed through the port. The entire area of the port on the Yangtze River covers 3,619km² comprised of 3 main ports: Wusongkou, Waigaoqiao and Yangshan Deep-Water Port. About 25 percent of China’s trade passes through the Port of Shanghai, or 2,000 steel container ships per month. 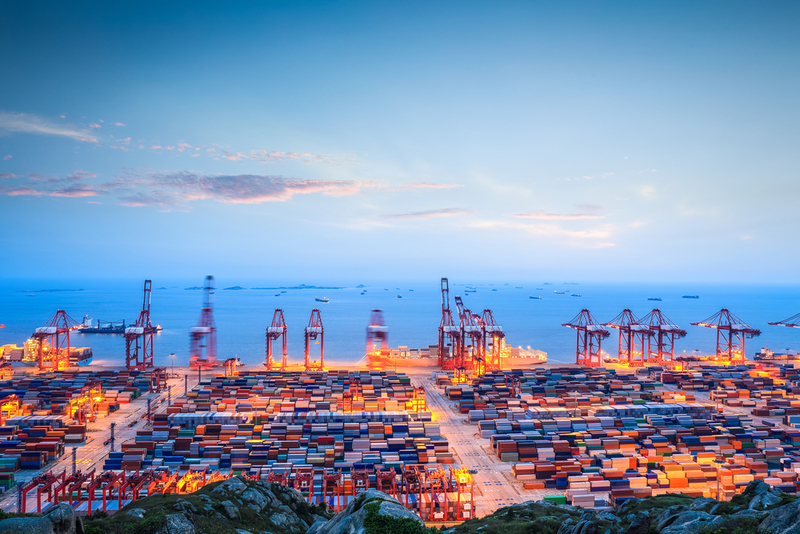 Most recently, the 4th phase of the Yangshan Deep-Water Port was completed, making it the largest automated port in the world. It spans across 2.23 million square meters, and can automatically handle 4 million standard containers per year, or 25 per hour. It was also built to accommodate the heaviest ships in the world. China is using its steel to build up the country’s infrastructure, and set world records along the way. Besides being impressive in size, the structures are expected to contribute to greater connectivity and economic prosperity throughout China. Cover photo courtesy of Morgan Stanley.